Wouldn't it be fun, all surrounded by books, with cosy armchairs and maybe a fireplace to read beside? And cats, of course. I enjoyed reading about this library in lovely Chester, Nova Scotia, run by a couple who live and work there. And they have a cat who lives and works there, too. What's not to like? If it weren't for the perpetual lack of funding (which unfortunately plagues way too many libraries), what a wonderful job it would be (especially given those library hours!). When I listen to an audio book, it becomes difficult to separate the reader from the book. When the reader is especially good, it makes the book even better than it would have been had I read it on my own. I haven't often had a reader who made the book worse, but it happened with this audio book. 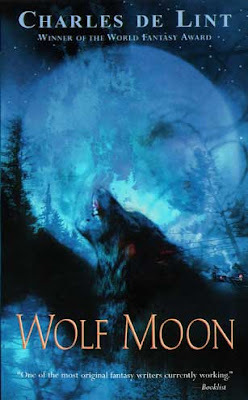 I have to say that this is my least favorite Sharon Creech novel I've read so far - and I've really enjoyed all the other ones I've read, particularly Granny Torelli Makes Soup, Walk Two Moons, and Ruby Holler. The story is about 13-year-old Dinnie, who has lived in dozens of places. Her father is constantly on the lookout for a new "opportunity," which invariably involves moving on to a new town. All this moving begins to take its toll on her family. Her brother keeps getting into trouble, finally ending up in jail; her older sister elopes at eighteen, and find that she's pregnant while her Marine husband is sent overseas. Dinnie's uncle is hired to be headmaster at an international school in Switzerland, and Dinnie suddenly finds herself whisked away from her home to live with her aunt and uncle while she attends the school. This is a huge "opportunity" for her, only she isn't so sure she wants any part of it. The novel is a coming-of-age story, of sorts, but it kind of left me with an "eh" kind of feeling at the end. I didn't feel like I knew any of the characters very well; none of them stood out for me, particularly, so I didn't feel very connected to the book. Dinnie, as first-person narrator, had a way of talking that didn't sound at all like a teenager. She said things like, "He sported a gold watch." Sported? On what planet would a 13-year-old say that? 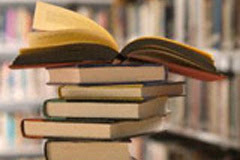 The reader the publisher chose to narrate this particular audio book did not help matters. It wasn't that she didn't read well - she was fine. But her voice seemed, to me, at least, better suited to reading adult novels - it was just too old for the voice of the narrator to ring true. It also seemed bizarre to me that, for a novel set in Lugano, where Italian is spoken, they wouldn't get a narrator who could speak the language well enough not to completely mangle it every time an Italian word was used. The students at the international school come from all over, but somehow Dinnie's Japanese, Italian and Spanish friends all spoke with Russian accents. Russian, with a hint of Romanian vampire - so that I kept expecting one of them to say, "I don't drink -- wine." 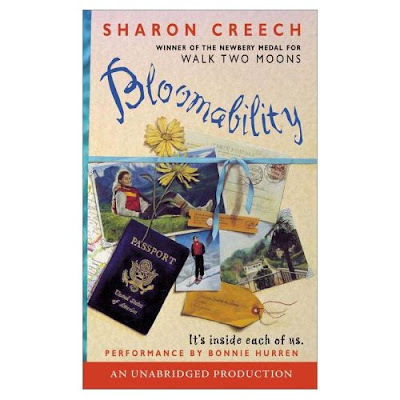 If you'd like to try something by Sharon Creech, I'd opt for one of her other books. At least that's what Stuart thinks. He has moved to a new town, and things aren't going so well. For starters, he put his box of special stuff by the curb for the movers, and the garbage truck carried it off instead. School is starting in a few days, he doesn't know anybody, and he's worried. What if he's the shortest kid in his class? What if he can't find the bathroom? What if he finds the bathroom, but gets locked inside? What if he doesn't make any friends? Stuart is very good at worrying. Plus he's bored. He wants to have an adventure. It suddenly occurs to him that adventures only happen to people in capes, and he doesn't have one. His mother thinks it's nonsense. "People can have adventures in dresses, or nice, warm, sweaters," she says. But when pressed, neither she nor his father can come up with a single person in a nice, warm sweater who's actually had a real adventure. Then Stuart discovers an old box labeled "Stuff from Great Uncle Nestor's Magic Act." Inside is some old junk his family's going to throw out, including a bunch of of old ties. 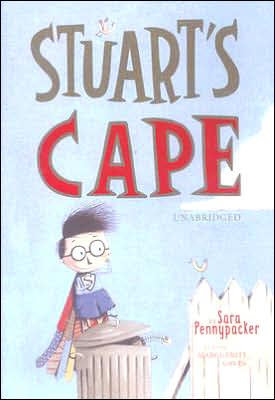 Stuart takes the ties and staples them into a magnificent cape - and the adventures begin. He is visited by a gorilla, a horse and a dinosaur, discovers he can fly (sort of), grows toast, learns about the magic of trading places - and realizes that along with capes come responsibilities. 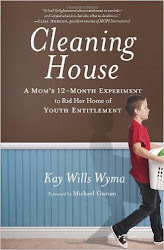 This is a charming book, full of humor and the unexpected. Every page comes with an illustration, so this is a great book for kids transitioning from easy readers to longer chapter books - and for any kid who enjoys quirky adventure stories. This is my first book by Sara Pennypacker, and my children and I thoroughly enjoyed it. We are looking forward to reading the sequel, Stuart Goes to School, but in the meantime we've started Clementine, which already had us giggling by the second page. I had to laugh at this imaginative way of sorting books! I particularly liked the one about Picasso. My kids appreciated the one about the sharks. Now all I have to do is figure out how I can make this into a fun book display at my library, tee hee. This book is not for children who are just learning their letters and numbers, although they might enjoy it. It is for the kids who have read dozens of alphabet books and already think they know just what to expect. This one is going to foil their expectations and make them laugh! 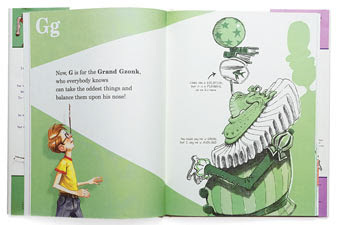 The book is clearly an homage to Dr. Seuss (the dedication, which is in rhyme, is in memory of "Good Doctor Ted" as well as Edward Lear), and it is engaging, silly and irreverent. The narrator (a young author/illustrator with glasses), introduces the book, calling it "an alphabet book of creachlings," but says it won't teach you ABC because none of it makes sense. The "creachlings" are intersting beasts, from the Angry Ack that eats dirty clothes (his favorite snack is stinky socks with jam packed in the toes) and the Evil Eeog (with hateful horrid breath that leaks onto the following page), all the way to the Zanderiffic Zibble Zook. I coudn't help but think of On Beyond Zebra! as I read this with my children, but the comparison only increased rather than lessened my enjoyment because it is such a celebration of Dr. Seuss's style of writing. 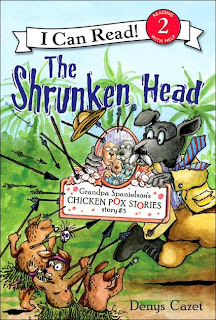 The creatures are fun and interesting, the rhymes are not contrived, and the narrator as a character ties everything together, creating a narrative within the simple advancing of letters and numbers. 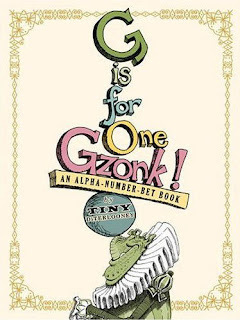 The homage to Seuss is particularly evident in the G-is-for-the-Grand-Gzonk entry, which not only has the gzonk balancing a host of objects on his nose, one of which appears to be a goldfish in a bowl - get it? - but, we are told, it is actually a piranha. Check out the shadow made by the tower of objects - does it remind you of anyone? Barney is stuck in bed with the chicken pox, and the itches are driving him crazy. Luckily his Grandpa knows lots of stories, stories that are so exciting that they make the itches go away - at least till it's time for a new story. In this third installment of the easy-reader series, Barney's grandmother wants him to take a nap before Dr. Storkmeyer comes. Grandpa is clearly itching (pardon the pun) to tell him a story about the time Dr. Storkmeyer got his head shrunk. But no, Grandma says he must mow the lawn while Barney takes his nap. Off Grandma goes in her pickup truck, and Grandpa cleverly finds a way to take care of yard work as well as tell Barney his exciting adventure story. The story is funny and action packed, involving poison arrows, a creepily funny jungle queen, and a head-shrinking potion made from triple-sour lemonade and cranberry juice. To add to the fun, there are comic-book speech bubbles to complement the text. This is a treat for children who are fairly proficient readers but are still daunted by huge blocks of text unbroken by illustrations. The vocabulary is challenging but not too difficult - in fact, it is categorized as I Can Read level 2, "reading with help." (But levels vary from publisher to publisher, so don't trust the number -- always look at the text to see if it the right kind of book for your young reader.) Best of all, it's an interesting story, fun and exciting and enjoyable to read. One criticism of this series that I've heard is that, with the chicken pox vaccine and fewer children getting the virus, the premise is obsolete. Not in our family! One of my children had the vaccine and still got chicken pox - twice! Regardless, any child can certainly identify with being uncomfortable and stuck in bed, and the stories are so fun that I find myself hoping it will take quite a while before poor Barney gets better! It's this article that did it. Where do you even start with something like this? For those of you who might not feel like reading the article, it's about a public library that canceled their entire summer reading program (for which, if it's anything like my library's, many people spent months of time preparing and organizing) because a church threatened to march in protest of some of the program's content. The library didn't want small children to be frightened of having to cross through a picket line to come into the library - which, after all, is supposed to be a warm, fuzzy, happy safe place. The objectionable content included tarot cards and palmistry, which was evidently a minor part of the scheduled events of a program. The theme involved suspense and mystery, and was called "You Never Know It at Your Library." Other activities included urban legends, tie-dying t-shirts, yoga, zen gardens, ghost stories and scrapbooking. These were all things that the kids had been requesting, things they were interested in. The summer reading program is voluntary. There is no one at the library insisting that children must attend everything or go home. Parents can decide which programs their children attend. 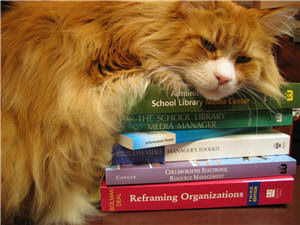 They can oversee which program-related books children check out and take home. Why can't it be enough for families to make their own choices in these matters? If this were a library run by that Baptist church, then fine - but this is a public library program, a program for the entire community, which, last time I checked, can actually be composed of people with different beliefs. Here's a quote from the minister: "We weren't against the reading program itself at all," Gallamore said. "We just take the stand that we don't live life by chance or by looking at the signs, but that our life is in God's hands and he is in charge of what takes place." He is entitled to take that stand, but one might think that taking that stand could actually involve allowing god to take charge of what takes place. And not bullying the library into cowtowing to one's personal beliefs, perhaps? As a result of the criticism and threats, everything has been canceled except the end-of-program pizza party. What a great metaphor for what happens when censorship is allowed to stand. When everything that could possibly be objectionable to everyone is removed, reducing things to the lowest common denominator, what remains? Nothing interesting or controversial, that's for sure. No sushi. No Thai food. Nothing spicy. Definitely no carpaccio. Here kids - have some pizza. Plain, of course. What's your favorite film that is based on a book? Did you read the book first, or see the movie first? How does that impact your impression of the movie? It's amazing to me that a book, which takes hours, if not days - possibly weeks - to get through, can be distilled into a 2-hour production that at all resembles the original work. Yet we are so critical of the results. Some of my favorites off the top of my head - ones where I enjoyed the book/story and the movie version equally - are The Third Man, Because of Winn-Dixie, Kiss Kiss Bang Bang, The Thief Lord, Blade Runner, Harry Potter and the Prisoner of Azkaban, Holes, The Three Musketeers, Howl's Moving Castle, The Last Unicorn - oh, and of course, the Lord of the Rings trilogy. Wow, the more I think about it, the more I think of. I may have to add some more later! What about the ones you just hated? The huge disappointments? 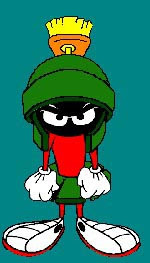 The one that immediately springs to my mind is The Hitchhiker's Guide to the Galaxy. I doubt any movie could do that book justice, but that version was just awful. And I didn't much care for Interview with the Vampire, either. 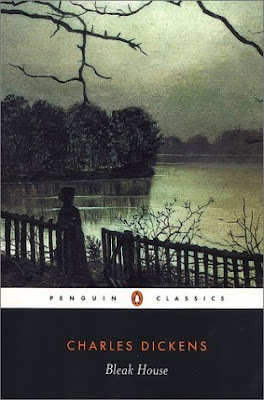 Here is an interesting list of favorite books-to-films. 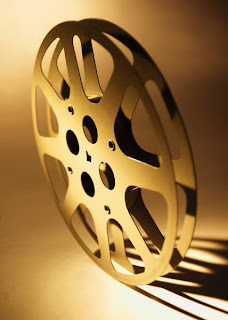 And here is a great website for books, short stories and plays that have been made into movies. It is interesting to think about how reading a book compares to listening to the audio version. 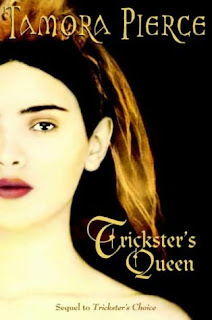 I have read many books by Tamora Pierce, but this one and Trickster's Choice are the first ones of hers I've ever listened to. Of course, the reader makes a huge difference when it's an audio version. For these books the reader was actress Trini Alvarado, and she did a marvellous job, using different voices, accents and intonations. The books were very exciting, and often I would sit in my car when I got to my destination, reluctant to turn off the engine because I wanted to hear what was going to happen next. The book opens as Aly and the Balitang family return from their exile to the capital city of Rajmuat. 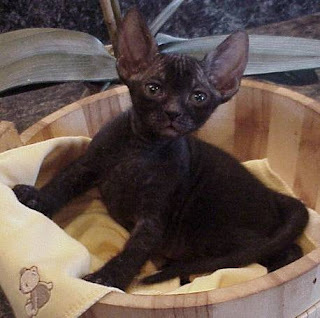 There the kingdom is now ruled by the regents of the child king, and they govern with a cruel, paranoid hand. Aly, chosen by the trickster god Kyprioth to help bring about the downfall of the present ruling family and put a "twice-royal" queen (the eldest Balitang daughter) on the throne, has her work cut out for her. The plot unfolds rapidly, throwing Aly headlong into court intrigue, rebel plots, deception, romance, and murder. Aly is an excellent heroine. She is strong, feisty, intelligent, and fiercely loyal. Her tendency toward over-self-confidence does lead to mistakes. When these mistakes happen, though, she doesn't succumb to self-pity or discouragement -- she picks herself up and keeps on going, and takes to heart any lesson she can learn from them. 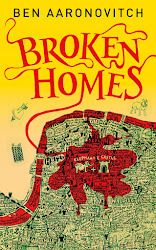 This is a wonderful two-book story, with memorable characters and surprising plot twists. I was sorry when it ended, and now I'm thinking of listening to some of my old favorites by Pierce, just to visit her wonderful world again. 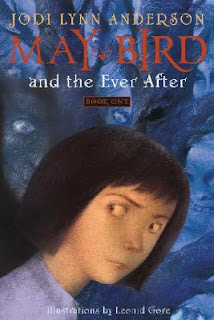 I was surprised to see how short this sequel to May Bird and the Ever After is. 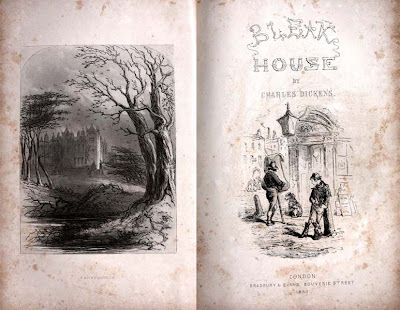 It made me wonder whether the two volumes had originally been a single book, which the publishers had divided into two (so it wouldn't be so long), as sometimes happens. Together with the first book, it does form a single narrative arc - so I'm glad I read it while the first one was still fresh in my mind. May continues her perilous journey. She is determined to return home to her mother (and in this book we get some snippets from her mother's point of view, which adds to the depth and tension), even though May is supposed to be the one who can deliver the Ever After from the evil clutches of Bo Cleevil. She is developing close friendships (the first in her life) with her ghostly compatriots, which makes her more and more torn between going home and trying to save them. She would be more determined to stay if only she had more self-confidence that she might actually be the warrior everyone seems to think she is. When she finally meets the Lady of the North, she is told that the very qualities that have made her an outsider are the strengths that will help her in the Ever After. If only she could believe it! While this series deals with death, ghouls, specters, and other dark matters, there are a lot of silly, whimsical touches that keep it from being overly grim and spooky. 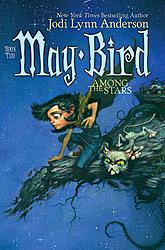 A third book in this series is scheduled to be released in September 2007, called May Bird, Warrior Princess. 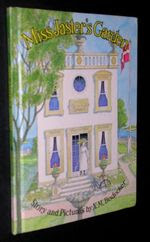 Miss Jaster lives in a lovely house in a garden near the sea. In the corner of that same garden lives Hedgie, a gentle hedgehog who occasionally meets Miss Jaster just after sunset, when they both enjoy strolling through the garden. Kind Miss Jaster offers Hedgie saucers of milk, but because she can't see very well, she has difficulty telling his head from his tail. Sometimes she sets the bowl of milk at the wrong end of the little hedgehog. When this happens, Hedgie politely dips his tale into the milk and pretends to drink, so he won't hurt her feelings. Hedgie enjoys listening to Miss Jaster play the piano in the evenings. It is a satisfying, peaceful life for them both. Miss Jaster loves to garden. One day Hedgie is napping in the garden bed, and when Miss Jaster rakes the bed, sprinkles the seeds, and showers it with her watering can, Hedgie is right there in the middle being raked, sprinkled, and watered. The flowers that sprout from Miss Jaster's garden lead Hedgie on a sweet and surprising adventure. This book has gorgeous illustrations that remind me of Edward Gorey's work (if you can picture an untwisted, cheerful, colorful version of his work, that is - something that might stretch the imagination a tad). 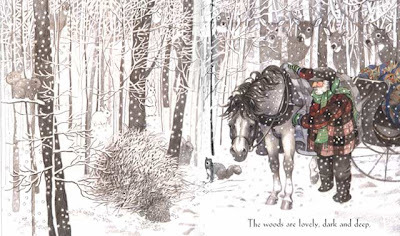 Bodecker is also the illustrator of Edward Eager's wonderful books Half Magic and Knight's Castle. Miss Jaster's Garden has a timeless quality to it, so that although the book is from 1972, it does not seem at all dated. I love the map of the garden at on the front and back inside covers - I used to enjoy poring over such maps when I was a girl - and my own children did just that after we read the book together, tracing the locations of the story's events with their fingers. This book appears to be out of print; we got our copy from the library. And you should, too. The cute, chick-lit-esque covers of this series promise fun, light mysteries, so I thought I'd try the first one for a little (nearly) summer reading. And mostly, it delivered. 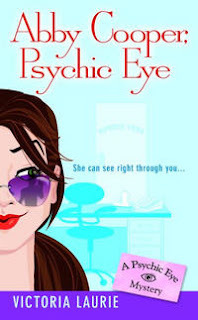 Abby Cooper is a skilled psychic whose best friend/business partner is moving away. Abby is also recovering from a difficult break-up, but knows it's time to get back in there. Her blind date goes great - until she discusses her psychic abilities with him, referring to a kidnapping story she saw on the news, and reveals details that are intimate to the case. Unfortunately, her hot date turns out to be a cop -- one who is extremely skeptical of her psychic skills. The sudden death of one of her clients draws Abby into a complex and dangerous situation, made even more difficult by the intense guilt Abby feels for not having been able to prevent the death in the first place. Soon it becomes evident that she is the murderer's next target. Now she must work with a man she's physically attracted to, but who can't seem to take her profession seriously. This book was fun and had a fairly gripping plot, but every so often it would jar me out of the story with prose that needed some serious editing. I know I'm probably pickier about grammar than lots of people - I'm right there with Lynne Truss (author of Eats, Shoots and Leaves) when she's out with her permanent marker adding missing apostrophes to signs - but honestly, when someone misuses language it diminishes their authority for me. Take this sentence, for example: "I sealed the envelopes, then closed my eyes, and began swirling them round and round the tabletop..." I had to go back and reread that one a few times, because I pictured her swirling her eyeballs around the table. Things like that kind of ruin the moment - but they were nothing that a good editor shouldn't have caught. I think the days when writers had careful editors are long gone, which is a shame. Every writer, no matter how accomplished, can benefit from a fresh set of eyes (as long as they're not swirling around the table top). At any rate, I still enjoyed the book - it had great insight into the way psychics perceive the world, and when I got to the end of the book and read the author bio, I learned that the author is actually a clairvoyant and police psychic. It was a fun twist on a mystery to see how the author was able to ratchet up the tension by playing on the limits of the protagonist's psychic abilities. I look forward to reading the next installment in the Psychic Eye series. Don't you hate when English teachers tell you what a book is supposed to mean? Remember reading Fahrenheit 451 in high school? Or other books like it? And then having to write a paper about What It All Meant, which usually entailed taking what the teacher said and finding things in the text to (kind of) support it? Well, it turns out that Bradbury wasn't writing about government censorship when he wrote the book. Nor was it a response to McCarthyism. It was, Bradbury says, a story about how television destroys interest in reading literature. Who knew? I know, I know, the reader brings her or his interpretation of the story, and the writer puts things in unconsciously blah blah blah. And that is fine - I don't disagree with that. But writers do write things on purpose, and they certainly have the final say as to their intent. Plus I have a sneaking suspicion that most English teachers would have frowned on that interpretation of the book in a student paper prior to Bradbury stating his intent. If you want to know more, you can read this article, which appeared in the LA Weekly - and for the info straight from the horse's mouth, you can watch the videos from Bradbury's website. I remember a story my French teacher told me in high school. 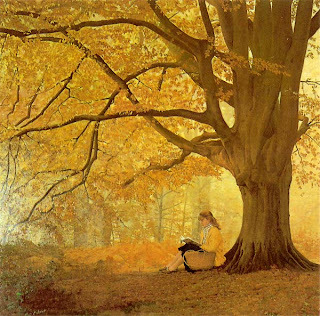 She said that Robert Frost had come to visit her university, and after he gave his speech, he was walking around in the gardens, where students could approach him with questions and comments. One of my teacher's friends ran up to him and said, "Mr. Frost! When you wrote 'Stopping by Woods on a Snowy Evening,' and you wrote about the snow, the snow meant death, right?" And Frost smiled and said, "Actually, I wrote about the snow because it was snowing."